Original Blue is a beautiful, aged, blue farmstead cheese made from raw cow's milk by the famed California fromagerie Point Reyes. The paste is chalky white and the blue-grey veins give an appearance of marble. This widely acclaimed cheese is dense and soft, moist and creamy. 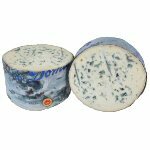 The flavor is slightly tangy and not too sharp; it is aged for a minimum of 6 months, but the cheese will not be overwhelming to the inexperienced; when Roquefort or Stilton are too strong, try the Original Blue. 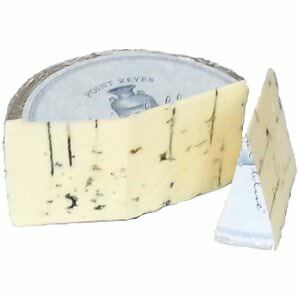 Port Reyes' Original Blue is certified Kosher for Dairy and is certified gluten-free. The cheese has no rind and will do great in salads and on cheese boards. 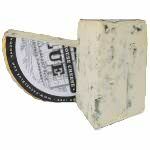 In July of 2011 Original Blues was the winner of the 39th Sofi Awards for the outstanding specialty foods and beverages of the year in the category Cheese or Dairy product. Ingredients: Cultured raw cow's milk, salt, enzymes, penicillium Roqueforti.